Our charges were last increased in January 2012; this was the delayed increase from August 2011. This price rise brings our annual increases in line with the University financial year. Full information on the Bodleian Libraries’ inter-library loans service can be found at: http://www.bodleian.ox.ac.uk/services/ill. Following extensive testing and consultation, the Bodleian Libraries are pleased to announce several improvements to SOLO, which will be implemented over the weekend of 28-29 July. Certain categories of material will now be excluded from clustering (where SOLO groups together multiple ‘versions’ of items). While clustering is highly valued by a large number of readers, it is clear that a universal approach to clustering causes problems for users searching for particular types of material, namely early printed books (pre-1830), maps, music, and audio-visual items. We have now excluded these categories, so they will no longer be pulled into the clusters of print and electronic versions of the same work. They will instead be visible in the main results list, separate from any clustered records. Modern printed materials and electronic resources will continue to be grouped into clusters. This partial clustering approach offers a significant improvement to the search experience while retaining the benefits of clustering for the majority of searches and readers. The default sort order within clusters will remain ‘relevance’. This substantially mitigates the problem of finding specific editions within large clusters for material. If you prefer to see your search results sorted by date, please select from the sort options at the top of the results list. These options will also be made more prominent. It will now be possible to limit your search to physical resources, in the same way that you can currently limit your search to electronic resources. To do so, choose ‘Physical Resources (not online)’ from the drop-down menu next to the main search box. Please note that you will still see links to digitised versions of texts scanned as part of the Google Books project, as these are attached to the record for the physical item rather than catalogued separately. You may therefore also still see an option to limit your results to online resources if these digitised copies are available. 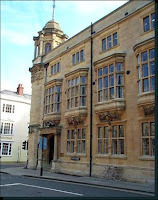 During the period Monday 16 July – Friday 27 July and Monday 6 August – Friday 17 August inclusive, access to the Gladstone Link will only be possible via the Old Bodleian Library. There will no access to the Gladstone Link from the Radcliffe Camera and likewise no access to the Radcliffe Camera from the Gladstone Link. However, this route remains available for use in the event of an emergency evacuation. The restricted access is to enable the move out of less-used new academic material to the Book Storage Facility and the move in of History Faculty Library material following the closure of that Library at 5.30pm on Friday 3 August. Areas of the Gladstone Link will be cordoned off as the book moves take place and material on the shelves in these areas will be inaccessible to readers until the cordons have been removed. If you need assistance please speak to staff either in the GL or at the Main Enquiry Desk in the Lower Reading Room. Further information regarding the move of the HFL is now available on the HFL blog. 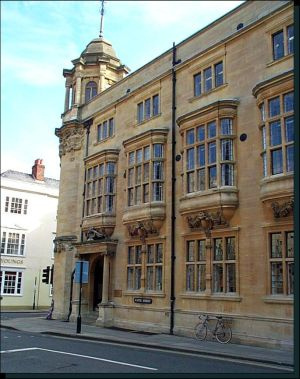 We now know that as part of the transfer to the Radcliffe Camera, HFL operations and services in the Old Indian Institute building will cease from 17:30 on Friday 3 August. Collections will move to the Radcliffe Camera and Gladstone Link between 6 and 17 August; HFL staff will move soon after that.